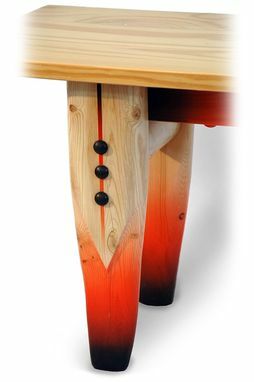 The table has carved legs. The substructure is painted with acrylics. All components are varnished, and the varnish has been buffed with soft abrasives to achieve a very matte finish. 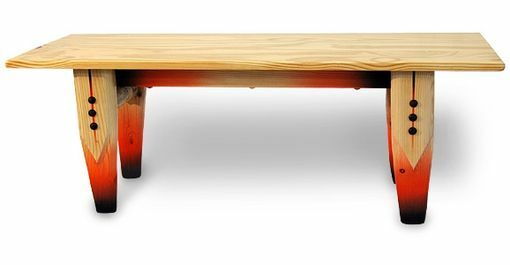 The table is made entirely of recycled woods, including spruce and aspen. 14" x 13" x 39.5".